select *, DATE_FORMAT(birthday, "%b %e, %Y") as _birthday, DATE_FORMAT(died, "%b %e, %Y") as _died, MONTH(birthday) as month_birth, DAY(birthday) as day_birth, DATE_FORMAT(birthday, "%b %e") as _birth_day_month from agatti_people where agatti_people.u_name = "danny-kaye"
Shares birthday with Cary Grant, Oliver Hardy, Oscar Lewenstein see more.. 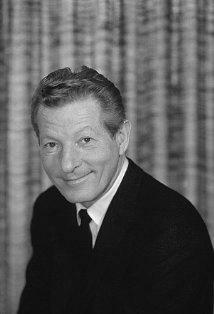 Legendary actor, Danny Kaye, was born David Daniel Kaminski on Jan 18, 1913 in Brooklyn, NY. 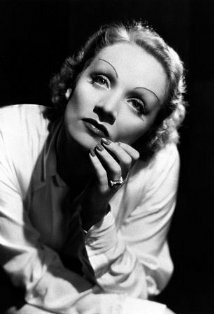 Kaye died at the age of 74 on Mar 3, 1987 in Los Angeles, CA and was laid to rest in Kensico Cemetery in Valhalla, NY. 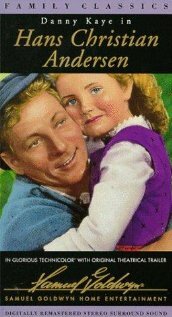 Danny Kaye was born David Daniel Kaminsky on January 18th, 1913 in the neighborhood of East New York in Brooklyn, New York. He was the third child of Ukrainian immigrants Jacob and Clara Kaminsky. As the only member in his family to be born in the United States, Kaye grew up in a traditionally Jewish household with Yiddish as his first language. His father worked as a tailor while his mother stayed at home to care for Kaye and his older brothers. His natural talent as an entertainer began to show in early childhood, when he would perform and tell jokes to his childhood to his schoolyard friends. His mother was very supportive of her youngest son and encouraged his playful, creative nature. Her death caused great sorrow for the teenaged Kaye. Although a poor student, Kaye was a prominent athlete at Thomas Jefferson High School. He participated in baseball, basketball and swimming, honing in on the muscle control that would the foundation for his skills as a physical comedian. After his mother's death at the age of 14, Kaye dropped out of school and hitchhiked to Florida with a friend. The duo made a small living singing for money before heading back to New York. Once home, Kaye worked a series of odd jobs in order to help his family financially. He found resume work as a soda jerk, a dental assistant and an insurance investigator. However, Kaye would end up fired from most of those positions. The biggest fiasco came with his insurance job, where his simple mathematical error caused the company to lose 40,000 dollars. He was then followed around by investigators for the next several months. Never forgetting his dream of becoming an entertainer, Kaye would spend time in the Borscht Belt regions of the Catskills working at resort, learning the basics of the entertainment industry. In 1933 Kaye made his first big break into the industry after meeting dancing duo Dave Harvey and Kathleen Young. The two were in need of a third member and taught Kaye the basics of dancing and formed The Three Terpsichoreans. The three then opened in Utica, New York and Kaye promptly lost his balance, tumbling to the floor. The audience, however, erupted into laughter and Kaye incorporated the fall into the act. Soon the trio was approached to join the traveling road show troupe La Vie Paree. They eagerly joined the roster and were soon touring across the United States. In 1934 the company set sail for a six month tour in Asia. The troupe performed through the continent in places like Tokyo, Shanghai, Hong Kong, and Bangkok. Due to the language barrier, Kaye was forced to act out his comedy routines thought the use of pantomime, body language, and facial expression to convey emotion to his audience. While on the tour, Kaye also took an interest in Asian cuisine, an interest that would soon become a life long passion. Upon retuning to the United States, Kaye struggled to find work, as entertainment jobs were in short supply. 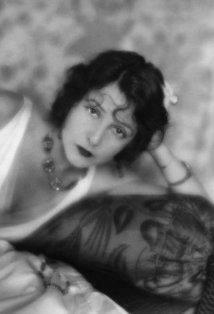 For short while he toured with burlesque dancer Sally Rand, tasked with job of holding her fan. For the rest of the decade, Kaye found work were he could. In 1935 he made his film debut in the comedy short Moon Over Manhattan. The next year he headed to London to work give a try at the city's cabaret circuit. The venture proved unsuccessful and less than year later, Kaye returned to New York. Although he signed a contract with Educational Pictures in 1937, the studio shut down less then year later and Kaye went back to perform in his old hunting grounds if the Catskills. In early 1939 met song composer and lyricists Sylvia Fine while performing on the stage showcase Sunday Night Revue. Although the show was short-lived, the friendship was not and soon the duo began working together on material for Kaye to perform. Later that year Kaye made his Broadway debut in The Straw Hat Revue. Fine wrote and composed the songs used for his acts. Although the show closed after just ten weeks, critics took notice of both Kaye and Fine. On January 3, 1940 the two married. In 1940, Kaye and Fine began working at the famed La Martinique Night club in New York. While performing with his wife, the duo was noticed by Moss Hart. 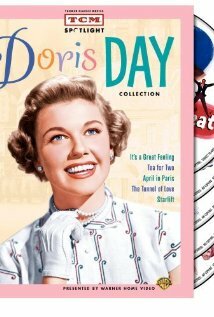 So taken aback by the performers energy, Kaye was then cast in the Broadway Comedy Lady in the Dark. The play was a massive hit and opened to marvelous reviews. Kaye was particularly for his chow stopping number Tschaikowsky (and other Russians). The next he had another successful run on Broadway with the Cole Porter penned Let's Face it!. After two back to back successes on Broadway, it wouldn't take long before Hollywood take notice of Kaye and soon he was called to do a screen-test for Sam Goldwyn. Although Goldwyn was unhappy with the test, calling Kaye's prominent nose "all angles," he nonetheless cast Kaye in the 1944 comedy Up in Arms an Arms and marked his feature film debut. The film was hit and so was Kaye. Audiences fell in love with his manic energy and rubber face. He followed that with the successful Wonder Man, in which Kaye played the role of Identical twins. Also that next year he participated in a USO tour and became the first American to visit post war-Tokyo. Upon returning to the States, Kaye continued his film career. 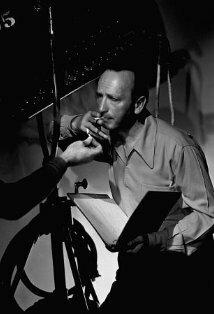 With his contract up at Goldwyn Studios, Kaye opted to sign on with Warner Brothers, who would give his wife Associate Producer status for all of his films. 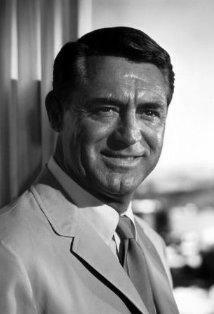 1949 he started filming the The Inspector General. The proved unsuccessful and they left the studio soon after. Kaye then worked as freelance actor into the early 1950's with films like On the Riviera and Hand Christian Anderson. 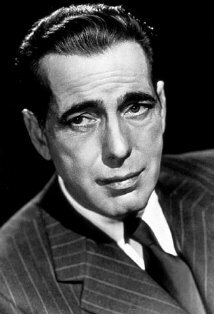 In 1952 he was host of 24th annual Academy Awards. He and Fine then went on to form their own production company, Dena Productions, with business partners Melvin Frank and Norman Panama. In 1954 they released their first film Knock on Wood. 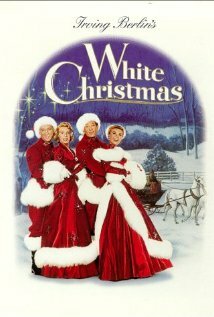 That year he also appeared with Bing Crosby in the holiday musical White Christmas. The film was a smash hit at the box office and became the top moneymaker of the year. 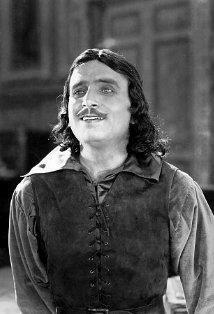 The next year he starred in the action/comedy The Court Jester with Basil Rathbone and Angela Lansbury. Costing over four million dollars, the film was the most expensive comedy to be produced. Although it originally was a box office bomb, it became a television favorite in the later decades. He starred in three more films in the 1950's , Merry Andrew, Me and the Colonel and Five Pennies. In 1954 Kaye began his long relationship with the program UNICEF. A strong believer in social responsibility, Kaye was eager to accept the position as the organizations first Goodwill ambassador. He also went on to produce the documentary Assignment: Children. That year Kaye was award a special honorary Oscar for his humanitarian work. In the 1950's, Kaye took up the hobby of flying and would have his pilot's license by the 1960's. 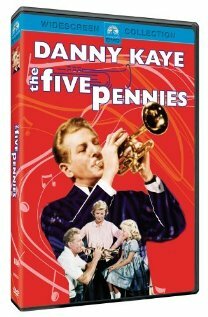 In the 1960's , Kaye began to spend more time on the television than movie screen, , gaining his own TV series, The Danny Kaye Show from 1964-1966. The show was a massive, even winning an Emmy in its first season. After over 25 years away from the Broadway Theatre, Kaye made a triumphant return in 1970 with the Musical Two by Two, playing none other than Noah. Although Kaye's popularity as onscreen performer began to wane in the 1970's, he remained an incredibly active public figure. He remained Ambassador for UNICEF, traveling all around the world for their Goodwill tours. He also developed an intense passion for cooking, and become the first non-professional chef to earn the honor of a"Les Meilleirs Ouvriers de France" culinary award. From 1977 to 1981 Kaye even dabbled in sport management when he became part owner of the Seattle Mariners. In his later life, Kaye was presented with numerous awards In 1981 was award with the Jean Hersholt Humanitarian Award, in 1984 the Kennedy Center Honor, and in 1986 the French Legion Honor. Danny Kaye died on March 3rd, 1987 of Heart Failure. He was 74 years old. He was honored with three stars on the Hollywood Walk of Fame in the categories of Radio, Recording and Motion Pictures. Danny Kaye's handprints and footprints were 'set in stone' at Grauman's Chinese Theater during imprint ceremony #136 on Oct 19, 1969. Kaye was never nominated for an Academy Award. However he won two Honorary Awards in 1954 and 1981 Danny Kaye . A memorable moment with . Georgi: [nervously] Oh, I have no wife. None of my family had wives. My father didn't like wives. I mean, my mother didn't like my father's wives. Professor Hobart Frisbee: [to Miss Bragg, after she has summoned a cab for Honey Swanson] It's all yours, Crabapple Annie! Phil Davis: [about the train tickets] I don't have them. I must have left them in my girdle. He awarded 3 Stars on the Hollywood Walk of Fame for Recording at 6125 Hollywood Boulevard; for Motion Pictures at 6563 Hollywood Boulevard; and for Radio at 6101 Hollywood Boulevard in Hollywood, California. While appearing in the musical "Two By Two" (1970-71), he broke his leg and played the role of Noah in a wheelchair since he did not use understudies.